Our carriers will insure any types of watercrafts from large, extravagant yachts, jet skis and pontoons, and everything in between. Our beautifully landscaped Puget Sound provides plenty of opportunity to get out and enjoy the sunshine on the water. Make sure you are adequately protected! Although Oregon does not require liability insurance, most marinas do. If you are still financing the vessel, you will need to carry insurance as well. 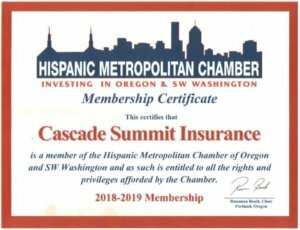 Call Cascade Summit Insurance! We’ll find the best rate for the best coverage available! Liability- This coverage pays the other party when you have caused damage to another person or their property. ​Uninsured Watercraft- This is an optional coverage that pays you when another individual has caused bodily injury or damage to your property with their watercraft and they do not carry watercraft insurance. ​Medical Payments- This is an optional coverage that would pay your medical expenses no matter whose fault the accident is. Hull & Motor Coverage-​ Can be set as an agreed value or market value. 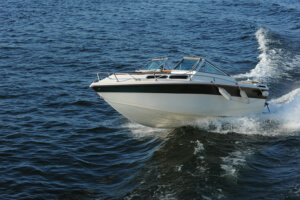 This coverage pays for damage to your boat or motor, exceeding the amount of your deductible. This would include damage caused by fire, theft, vandalism, any natural acts of God or an accident. ​Towing- ​This coverage pays for the cost of towing and labor when your boat is disabled due to a covered loss. ​Personal Property Replacement- This covers personal effects like clothing, fishing gear and sports equipment that while items are on board or being loaded and unloaded.